As an entrepreneur, comparing yourself to others is almost natural. How can we not compare ourselves to our peers? When I started marketing online, Ray Higdon was one of the first people I looked up to as someone doing it “right”. After following his tutelage for some time, I saw my business grow and my marketing got better and better. However, after some time, when it came to starting new things in my business such as starting a new blog, I found myself COMPARING my new blog to Ray's blog of almost 10 years. For months this kept me from taking the action I needed to daily to get my blog up to speed. My blog had to be perfect. It had to be as good or better than Ray Higdon's. Comparing my blog to his put me in a rut. A place where no entrepreneur can find success. 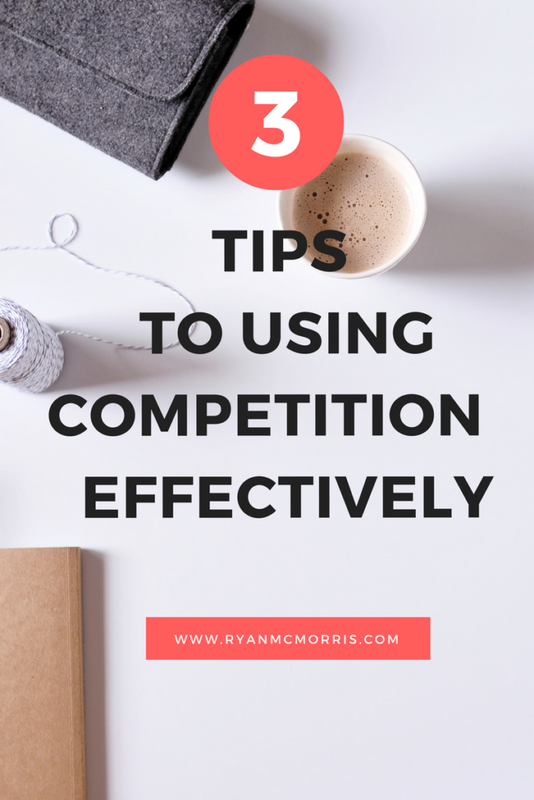 In today's post, I will show you three ways to help you compete against the best in your industry/niche while also helping you stay 100% focused and out of the viscous comparison cycle. Reflect on your growth daily. Write down each day the good things you've done to get better and better. Imagine going to sleep every night ONLY thinking of the things you did NOT accomplish. Over time, it would create a sense of worry and greatly take away from ANY sense of accomplishment. However, imagine if you finish your day, don't hit all your goals but truly reflect, giving time and thought to all the positive things you did well, no matter how small. You would feel productive, a sense accomplishment, and over time you'll realize each day you've gotten better and better. As an entrepreneur, our job is to complete OUR race. Not the race of any of our competitors. Create/Write/Read your life/business vision daily. This is a detailed vision of your ideal life and business, a “perfect day” if you will. In full detail using all your senses, describe your absolute perfect day on paper. Each morning and afternoon, read it out loud with the conviction that it is already happened in your life/business. This will keep your eyes on YOUR goals each day. Not your completions. The competitions' finish line is NOT your finish line. Having a detailed written outcome for the next 6-12 months will PULL you towards the results you want. Many will find themselves PUSHING towards their goals and eventually tire out. Imagine being PULLED. Instead of you pushing to achieve your goals, your goals are pulling you. Train daily. Train with purpose. In every profession, the people that practice getting better each day are typically the individuals at the top of their field. Training daily in your niche will greatly increase your competence. As your competence (knowledge) increases, so will your confidence. As you become more confident in a particular area, you will naturally start to keep your eyes off of your competition because your only TRUE competition is yourself. 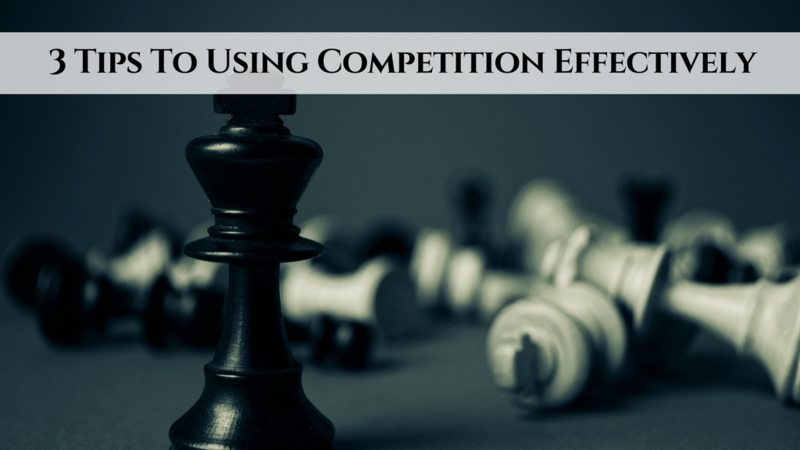 You will rarely feel the need to look towards your competition for knowledge in that particular area because you are confident and competent in that area. Add a specific type of training to your schedule everyday. At least 30 minutes committed to getting better and better. Schedule this training around the same time daily so there are no continues interruptions of your very important training time. Be sure to let your boss, co workers, family, etc know that this time is blocked for training and mastering your craft. Use these 3 tips daily to increase your skill sets continuously throughout building your business. Until your competition becomes your rivals, keep your eyes and focus on your goals. So if you're like most people, you probably look at your competition as the enemy. Don't feel bad because 99% of people do! But is this true? 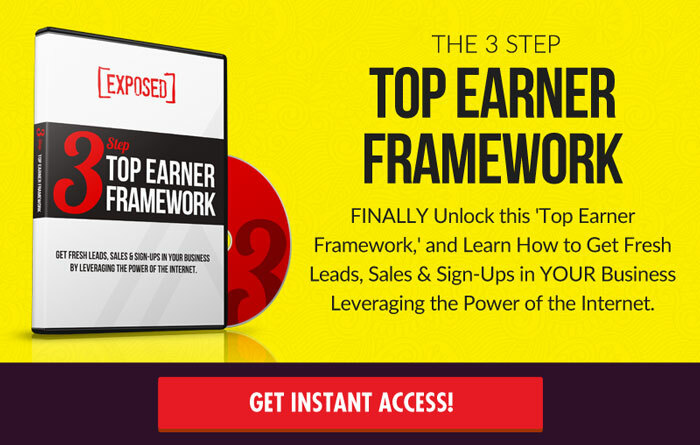 Can your competition be used to your benefit, even get you leads, and earn you money? 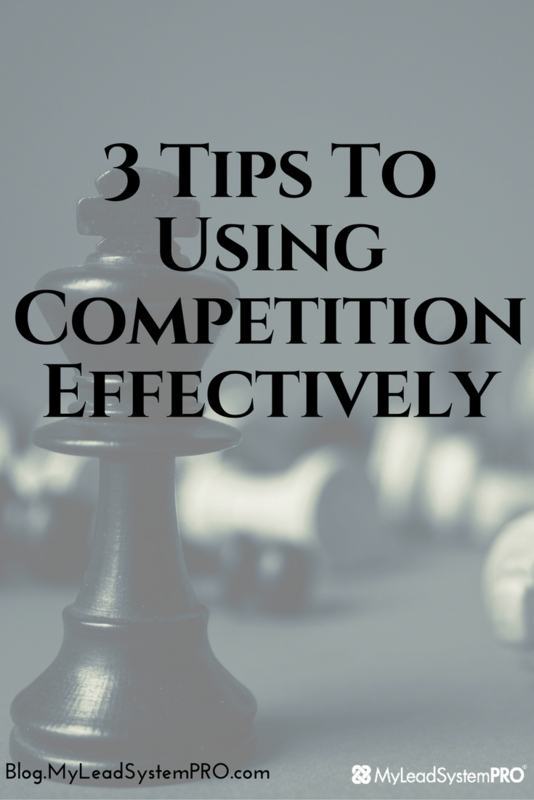 Click Here for the 3 Tips to Using Competition Effectively!